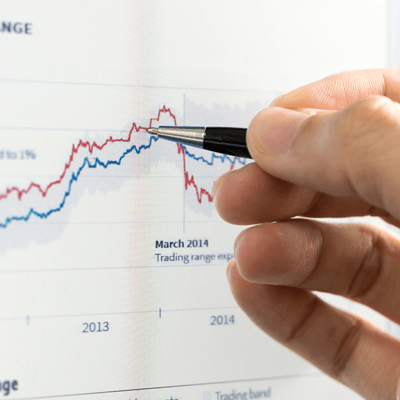 What is a Fundamental Analysis? The True Value of a Stock? Fundamental analysis refers to the study of a company and the key elements of operational procedure to determine that company’s health and future prospects. It’s a method of study that attempts to predict price action and market trends by taking in to account how a company reacts to internal and external economic indicators, or receives results from them. Some of the common factors taken into account through Fundamental Analysis can be government policy, social influence, technology developments with an industry, and of course a company’s operational framework. If you think of the financial markets as an industrial factory with a production line the fundamentals are the gears and cogs that keep the production line moving to enable a product to be created and produced at the other end. Anyone can see that final product sitting on the shelf for purchase but the fundamentalist can tell you how it came to be taking into account their knowledge of all the factors of how the factory works to create that product, or more precisely how that product will evolve in the market and how it will be priced accordingly in future. There is a tendency to pigeonhole traders into two distinct schools of market analysis - fundamental and technical. The first question posed to you after you tell someone that you are a trader is generally "Are you a technician or a fundamentalist?" The reality is that it has become increasingly difficult to be a purist of either persuasion. Fundamentalists need to keep an eye on the various signals derived from the price action on charts, while few technicians can afford to completely ignore impending economic data, critical political decisions or the huge amount of social issues that can influence prices. Fundamental analysis is driven by the theory that from time to time the stock market may incorrectly price a company. Investors can make profits by finding undervalued stocks and waiting for the market to adjust the valuation of the company. By analysing the financial reports from companies you will get an understanding of the value of different companies and understand the pricing in the stock market. After analysing the fundamentals of a company you have a better understanding of whether the price of the stock is undervalued or overvalued at the current market price. Fundamental analysis can also be the economy as a whole. Fundamental analysis is a very effective way to forecast economic conditions, but not necessarily exact market prices. An investor will anticipate for various announcements to help speculate on market or individual stock movement. An example of a potential indicator could be an economist's forecast of the upcoming GDP or unemployment numbers. These announcements can allow you to get a clear picture of the general health of the economy and the forces at work behind it. It’s always recommended to come up with your own precise method of how you best understand and translate this information into entry and exit points for a particular trading strategy. A trader who studies the markets using fundamental analysis will generally create models to formulate a trading strategy. These models are typically made up of historical price data combined with previous trades to attempt to forecast market behaviour and estimate future values or prices by using previous values of key economic indicators. This information is then used to execute exact trades that best exploit all the information gathered. Any given company can produce a financial statement that includes masses of numbers representing various performances of individual units within the company and the operation as a whole. All of the information together can be overwhelming to many investors wondering where to start looking for a trend or potential investment strategy based on the numbers represented. The key is knowing how to read the numbers based on your strategy. If you have a clear investment strategy based on your fundamentals you will know how to read the numbers in the financial statement allowing you to extract the information you need to apply your investment strategy to the market. Financial statements are a gold mine of information and analysis of the statement is the biggest part of fundamental analysis. Also known as quantitative analysis, it involves looking at historical performance data to estimate the future performance of stocks. Followers of quantitative analysis want as much data as they can find on revenue, expenses, assets, liabilities and all the other financial aspects of a company. The fundamental analyst will look at all of these factors to gain insight on a company’s future performance which will allow for a potential investment decision. By doing this the stock price is not ignored they just avoid focusing on it exclusively. In these tutorials you’ll be shown you how to understand the basics of the financial statements with both the quarterly and annual reports, giving you the chance to review different sets of numbers to give you broad knowledge to decide which companies make worthwhile investments. A fundamental analysis is all about getting an understanding of a company, the health of its business and its future prospects. It includes reading and analysing annual reports and financial statements to get an understanding of the company's comparative advantages, competitors and its market environment. Fundamental analysis is built on the idea that the stock market may price a company wrong from time to time. Profits can be made by finding under-priced stocks and waiting for the market to adjust the valuation of the company. 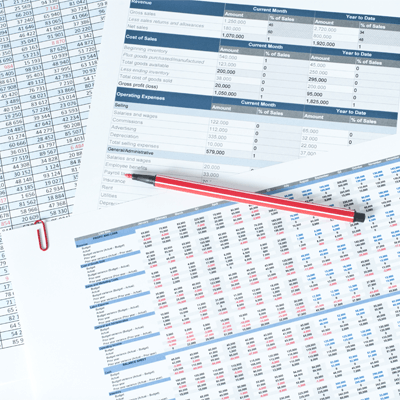 By analysing the financial reports from companies you will get an understanding of the value of different companies and understand the pricing in the stock market. After analysing these factors you have a better understanding of whether the price of the stock is undervalued or overvalued at the current market price. Fundamental analysis can also be performed on a sectors basis and in the economy as a whole. For a fundamental analyst, the market price of a stock tends to move towards its 'intrinsic value', which is the 'true value' of a company as calculated by its fundamentals. If the market value does not match the true value of the company, there is an investment opportunity. Example of this is that if the current market price of a stock is lower than the intrinsic price, the investor should purchase the stock because he expects the stock price to rise and move towards its true value. Alternatively, if the current market price is above the intrinsic price, the stock is considered overbought and the investor sells the stock because he knows that the stock price will fall and move closer to its intrinsic value. To determine the true price of the company's stock, the following factors need to be considered. Accounting Methods - This type of footnote identifies and explains the major accounting policies of the business. This portion of the footnotes will tell you the nature of the company’s business, when its fiscal year starts and ends, how inventory costs are determined and any other significant accounting policies that the company feels that you should be aware of. This is especially important if a company has changed accounting policies. It may be that a firm is practicing "cookie jar accounting" and is changing policies only to take advantage of current conditions to hide poor performance. Disclosure - The second type of footnote provides additional disclosure that simply could not be put in the financial statements. 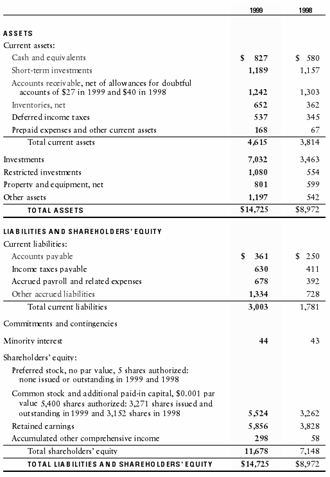 The financial statements in an annual report are supposed to be clean and easy to follow. To maintain this cleanliness, other calculations are left for the footnotes. For example, details of long-term debt such as maturity dates and the interest rates at which debt was issued can give you a better idea of how borrowing costs are laid out. Other areas of disclosure include everything from pension plan liabilities for existing employees to details about ominous legal proceedings in which the company is involved. The footnotes are often ignored due to investors and analysts concentrating on the balance sheet searching for information within the income statement and cash flow statement. What sets informed investors apart is digging deeper and looking for information that others typically wouldn’t. Reading the fine print can give you an advantage by extracting insights from all the information on offer in a statement. The more information you have the better investor you can be. An Auditor’s Report, which is sometimes called the ‘Report of Independent Accountants’ is a report produced to deliver and opinion on whether the financial statements are reasonably accurate and provide appropriate disclosure. By law, every public company that trades shares or bonds on an exchange must have its annual reports audited by a Certified Public Accountant firm. This report is designed to scrutinize the company and identify anything that might undermine the integrity of the financial statements, and allows for piece of mind and transparency for investors. The third paragraph gives the auditors opinion on the financial statements of the company being audited. This is simply an opinion, not a guarantee of accuracy. Generally, the auditor’s report won't uncover any large and or valuable amounts of information on a company. However it’s crucial that you at least ensure that the financial statements have been audited. Audits offer credibility to the figures reported by the management. And, in turn financial statements that haven’t been audited are essentially worthless without an independent evaluation. Unaudited financial statements have a higher probability of being misleading and fraudulent and, therefore, are completely useless to the investor who is trying to make an educated decision. 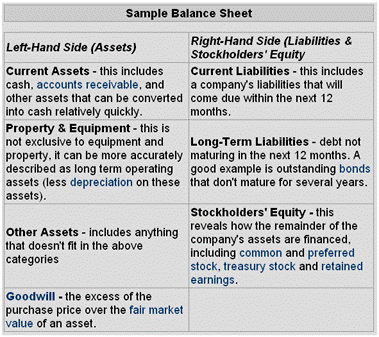 Below is a sample balance sheet that we use in the ratio analysis tutorial. One thing to notice is that totals and subtotals have lines above the figures, this is true for just about every balance sheet: Corys Tequila Co. Consolidated Balance Sheet (in millions, except per-share amounts). There are many different styles of presenting the balance sheet, but regardless of how they are laid out, all balance sheets contain the same information. Don't succumb to 'paralysis by analysis'. Given the many factors that fall under the heading of "The Fundamentals," the investor is at risk of information overload. Sometimes traders fall into this trap and end up with so many considerations that they are unable to make a trade due to not being able to make a decision. This is one of the reasons why many traders turn to technical analysis. To some, technical analysis is seen as a way to transform all of the fundamental factors that influence the markets into one simple tool, prices. However trading a particular market without knowing a great deal about the exact nature of its underlying elements is like fishing without bait. You might get lucky the odd time but it's not the best approach over the long haul. Forex traders consider the fundamentals to be everything that makes a country tick. From interest rates and central bank policy to natural disasters, the fundamentals are an overall mix of all possibilities including distinct plans, erratic behaviours and unforeseen events. Therefore, it is best to get a handle on the most influential contributors to this diverse mix than it is to formulate a comprehensive list of all "The Fundamentals." Economic indicators are releases of financial and economic data published by various agencies of the government or private sector. These statistics, which are made public on a regularly scheduled basis, help market observers monitor the pulse or feel of the economy. These indicators they are religiously followed by almost everyone in the financial markets. With so many people ready to react to the same information, economic indicators in general have tremendous potential to generate volume and to move prices in the markets. While on the surface it might seem that an advanced degree in economics would come in handy to analyse and then trade on the glut of information contained in these economic indicators, a few simple guidelines are all that is necessary to track, organize and make trading decisions based on the data. Being aware of the calendar of economic indicators on a daily basis will help you make sense out of potential price action in the market. One scenario to consider is: it's Monday morning and the AUD has been in a tailspin for weeks. Therefore it's safe to assume that many traders are holding large short AUD positions. However, on Friday the employment data for Australia. is due to be released. It is very likely that with this key piece of economic information soon to be made public, the AUD could experience a short-term rally leading up to the data on Friday as traders pare down their short positions. The point here is that economic indicators can affect prices directly, following a release to the public, or indirectly as traders massage their positions in anticipation of the data. After you follow the data for a while, you'll become very familiar with the subtleties of each economic indicator and what part of the economy they are measuring and what importance the market is placing them, i.e. the likely impact, even if it will have an impact at all. Besides knowing when all the data will be delivered to the public, it is vitally important that you know what economists and other market pundits are forecasting for each indicator. For example, knowing the economic consequences of an unexpected monthly rise of 0.5% in the producer price index (PPI) is not nearly as vital to your short-term trading decisions as it is to know that this month the market was looking for PPI to fall by 0.15%. The Gross Domestic Product (GDP) - The calculation of all goods and services produced either by domestic or foreign companies. GDP indicates the pace at which a country's economy is growing (or shrinking) and is considered the broadest indicator of economic output and growth. Housing Starts - The Housing Starts report measures the number of residential units on which construction is begun each month. A start in construction is defined as the beginning of excavation of the foundation for the building and is comprised primarily of residential housing. Housing is very interest rate sensitive and is one of the first sectors to react to changes in interest rates. Significant reaction of start/permits to changing interest rates signals interest rates are nearing trough or peak. To analyse, focus on the percentage change in levels from the previous month. Report is released around the middle of the following month. How stock analysts come up with "fair value" for companies, or why their target price estimates vary so wildly, and can be difficult to work out how they came to their conclusions The answer is often within how they use the valuation method known as discounted cash flow (DCF). Keep in mind you don’t have to rely on the word of analysts. With some preparation and the right tools, you can value a company’s stock yourself using this method. We will show you how by taking you step-by-step through a discounted cash flow analysis of a fictional company. In simple terms, discounted cash flow tries to work out the value of a company today, based on projections of how much money it’s going to make in the future. DCF analysis says that a company is worth all of the cash that it could make available to investors in the future. It is described as "discounted" cash flow because cash in the future is worth less than cash today. (To learn more, see The Essentials of Cash Flow and Taking Stock of Discounted Cash Flow.) One way of looking at it is to ask yourself, if someone offered the chance to choose between receiving $100 today and receiving $100 in a year. Chances are you would take the money today, knowing that you could invest that $100 now and have more than $100 in a years’ time. If you turn that thinking on its head, you are saying that the amount that you’d have in one year is worth $100 dollars today - or the discounted value is $100. Make the same calculation for all the cash you expect a company to produce in the future and you have a good measure of the company’s value. There are approaches that have stood the test of time when it comes to discounted cash flow analysis, including the dividend discount model (DDM) approach and the cash flow to firm approach. For this tutorial we will use the free cash flow to equity approach commonly used by Wall Street analysts to determine the "fair value" of companies. As an investor, you have a lot to gain from mastering DCF analysis. This can be a reality check to the fair value prices found in broker’s reports. DCF analysis requires you to think through the factors that affect a company, such as future sales growth and profit margins. It also makes you consider the discount rate, which depends on a risk-free interest rate, the company’s costs of capital and the risk its stock faces. From this you will gain an appreciation for what drives share value, and that means you can put a more realistic price tag on the company’s stock. To demonstrate how this valuation method works, this tutorial will take you step-by-step through a DCF analysis of a fictional company called The Widget Company. Now we can start by looking at how to determine the forecast period for your analysis and how to forecast revenue growth. Having projected the company’s free cash flow for the next five years, we want to figure out what these cash flows are worth today. That means coming up with an appropriate discount rate which we can use to calculate the net present value (NPV) of the cash flows. So, how do we figure out the company’s discount rate? That’s a crucial question, because a difference of just one or two percentage points in the cost of capital can make a big difference in a company’s fair value. A wide variety of methods can be used to determine discount rates, but in most cases, these calculations resemble art more than science. Still, it is better to be generally correct than precisely incorrect, so it is worth your while to use a rigorous method to estimate the discount rate. A good strategy is to apply the concepts of the weighted average cost of capital (WACC). The WACC is essentially a blend of the cost of equity and the after-tax cost of debt. (For more information, see Investors Need A Good WACC.) Therefore, we need to look at how cost of equity and cost of debt are calculated. Unlike debt, which the company must pay at a set rate of interest, equity does not have a concrete price that the company must pay. But that doesn’t mean that there is no cost of equity. Equity shareholders expect to obtain a certain return on their equity investment in a company. From the company’s perspective, the equity holders required rate of return is a cost, because if the company does not deliver this expected return, shareholders will simply sell their shares, causing the price to drop. Therefore, the cost of equity is basically what it costs the company to maintain a share price that is satisfactory (at least in theory) to investors. The most commonly accepted method for calculating cost of equity comes from the Nobel Prize-winning capital asset pricing model (CAPM), where: Cost of Equity (Re) = Rf + Beta (Rm-Rf). Rf - Risk-Free Rate - This is the amount obtained from investing in securities considered free from credit risk, such as government bonds from developed countries. The interest rate of U.S. Treasury bills or the long-term bond rate is frequently used as a proxy for the risk-free rate. Equity Market Risk Premium - The equity market risk premium (EMRP) represents the returns investors expect, over and above the risk-free rate, to compensate them for taking extra risk by investing in the stock market. In other words, it is the difference between the risk-free rate and the market rate. It is a highly contentious figure. Many commentators argue that it has gone up due to the notion that holding shares has become riskier. Once the cost of equity is calculated you can then make adjustments to take account of risk factors specific to the company, as a result the risk profile of the company may increase of decrease. Some of the factors taken into account are the size of the company, pending legal action, concentration of customer base and dependence on key staff. Adjustments are entirely a matter of the individual investor’s opinion based on findings and they vary from company to company. Compared to cost of equity, cost of debt is generally a simple calculation. The rate applied to determine the cost of debt (Rd) should be the current market rate the company is paying on its debt. If the company is not paying market rates, an appropriate market rate payable by the company should be estimated. As companies benefit from the tax deductions available on interest paid, the net cost of the debt is actually the interest paid less the tax savings resulting from the tax-deductible interest payment. Therefore, the after-tax cost of debt is Rd (1 - corporate tax rate). The WACC is the weighted average of the cost of equity and the cost of debt based on the proportion of debt and equity in the company’s capital structure. The proportion of debt is represented by D/V, a ratio comparing the company’s debt to the company’s total value (equity + debt). The proportion of equity is represented by E/V, a ratio comparing the company’s equity to the company’s total value (equity + debt). The WACC is represented by the following formula: WACC = Re x E/V + Rd x (1 - corporate tax rate) x D/V. A company’s WACC is a function of the mix between debt and equity and the cost of that debt and equity. On the one hand, in the past few years, falling interest rates have reduced the WACC of companies. On the other hand, corporate disasters like those at Enron and WorldCom have increased the perceived risk of equity investments. Be very careful however: the WACC formula seems easier to calculate than it really is. Rarely will two people derive the same WACC, and even if two people do reach the same WACC, all the other applied judgments and valuation methods will likely ensure that each has a different opinion regarding the components that comprise the company’s value. Returning to our example, let’s suppose The Diamond Company has a capital structure of 40% debt and 60% equity, with a tax rate of 30%. The risk-free rate (RF) is 5%, the beta is 1.3 and the risk premium (RP) is 8%. The WACC comes to 10.64%. So, rounded up to the nearest percentage, the discount rate for The Widget Company would be 11%. Now that we have calculated the discount rate for the Diamond Company, its time to do the final calculations to generate a fair value for the company’s equity. Having estimated the free cash flow produced over the forecast period, we now need to come up with a reasonable idea of the value of the company’s cash flows after that period. That being when the company has settled into middle-age and maturity. Remember, if we didn’t include the value of long-term future cash flows, we would have to assume that the company stopped operating at the end of the five-year projection period. The trouble is that it gets more difficult to forecast cash flows over time. It’s hard enough to forecast cash flows over just five years, never mind over the entire future life of a company. To make the task a little easier, we use a "terminal value" approach that involves making some assumptions about long-term cash flow growth. There are several ways to estimate a terminal value of cash flows, but one well-worn method is to value the company as a perpetuity using the Gordon Growth Model. The model uses this formula: Terminal Value = Final Projected Year Cash Flow X (1+Long-Term Cash Flow Growth Rate)(Discount Rate Long-Term Cash Flow Growth Rate) The formula simplifies the practical problem of projecting cash flows far into the future. But keep in mind that the formula rests on the big assumption that the cash flow of the last projected year will stabilize and continue at the same rate forever. This is an average of the growth rates, not one expected to occur every year into perpetuity. Some growth will be higher or lower, but the expectation is that future growth will average the long-term growth assumption. Returning to the Diamond Company, let’s assume that the company’s cash flows will grow in perpetuity by 4% per year. At first glance, 4% growth rate may seem low. But seen another way, 4% growth represents roughly double the 2% long-term rate of the U.S. economy into eternity. In the section on "Forecasting Free Cash Flows", we forecast free cash flow of $21.3 million for Year 5, the final or "terminal" year in our Widget Company projections. You will also recall that we calculated The Diamond Company’s discount rate as 11% (see "Calculating The Discount Rate"). We can now calculate the terminal value of the company using the Gordon Growth Model: Widget Company Terminal Value = $21.3M X 1.04/ (11% - 4%) = $316.9M. Another way to determine a terminal value of cash flows is to use a multiplier of some income or cash flow measure, such as net income, net operating profit, EBITDA (earnings before interest, taxes, depreciation, and amortization), operating cash flow or free cash flow. The multiple is generally determined by looking at how comparable companies are valued by the market. Was there a recent sale of stock of a similar company? What is the standard industry valuation for a company at the same stage of maturity? In Year 5, the Diamond Company is expected to produce free cash flow of $21.3M. Multiplying this by a projected price-to-free cash flow of 15 gives us a terminal value of $319.9M. Diamond Company Terminal Value = $21.3M X 15 = $319.9M. Now you have the following free cash flow projection for the Diamond Company. Forecast Period Year 1 Year 2 Year 3 Year 4 Year 5 Terminal Value (Gordon Growth Model) Free Cash Flow $18.5M $21.3M $24.1M $19.9M $21.3M $316.9M Figure 1 To arrive at a total company value, or enterprise value (EV), we simply have to take the present value of the cash flows, divide them by the Diamond Company’s 11% discount rate and, finally, add up the results. EV = ($18.5M/1.11) + ($21.3M/(1.11)2) + ($24.1M/(1.11)3) + ($19.9M/(1.11)4) + ($21.3M/(1.11)5) + ($316.9M/(1.11)5) EV = $265.3M Therefore, the total enterprise value for The Diamond Company is $265.3 million. But we are not finished yet - we cannot forget about debt. The Diamond Company’s $265.3M enterprise value includes the company’s debt. As equity investors, we are interested in the value of the company’s shares alone. To come up with a fair value of the company’s equity, we must deduct its net debt from the value. Let’s say The Diamond Company has $50M in net debt on its balance sheet. We subtract that $50M from the company’s $265.3M enterprise value to get the equity value. Fair Value of Diamond Company Equity = Enterprise Value Debt Fair Value of Diamond Company = $265.3M - $50M =$215.3M So, by our calculations, the Diamond Company’s equity has a fair value of $215.3 million. That’s it - the DCF valuation is complete. Having finished the DCF valuation, we can judge the merits of buying Diamond Company shares. If we divide the fair value by the number of Widget Company shares outstanding, we get a fair value for the company’s shares. If the shares are trading at a lower value than this, they could represent a buying opportunity for investors. If they are trading higher than the per share fair value, shareholders may want to consider selling Widget Company stock. You are familiar with the mechanics of DCF analysis and you have seen it applied to a practical example; now it’s time to consider the strengths and weaknesses of this valuation tool. What makes DCF better than other valuation methods? What are its shortcomings? As you have seen, DCF analysis tries to work out the value of a company today, based on projections of how much money it will generate in the future. The basic idea is that the value of any company is the sum of the cash flows that it produces in the future, discounted to the present at an appropriate rate. In this tutorial, we have shown you the basic technique used to generate fair values for the stocks that you follow. But keep in mind that this is just one approach to doing DCF analysis; every analyst has his or her own theories on how it should be done. Although manually working your way through all the numbers in DCF analysis can be a time-consuming and tricky process at times, it’s not impossible. Yes, using a DCF model probably entails a lot more work than relying on traditional valuation measures such as the P/E ratio, but we hope this step-by-step guide has shown you that it is worth the effort. DCF analysis treats a company as a business rather than just a ticker symbol and a stock price, and it requires you to think through all the factors that will affect the company’s performance. What DCF analysis really gives you is an appreciation for what drives stock values. Just like net profit after tax (NPAT), there are not too many more important numbers than the Earnings Before net Interest and Tax (EBIT). There are a surprising number of companies listed on the ASX that do not make money and often they are of little interest to investors. EBIT is calculated by taking the earnings (before significant items and extraordinary items) before net interest has been deducted and before the income tax obligation on the earnings has been deducted. Net interest is the total interest paid on borrowings (or borrowing costs) minus any interest received on money deposited. The EBIT can sometimes be found in the Statement of Financial Performance (previously known as the Profit and Loss Statement), although many companies will just list one figure for earnings before tax and this will include significant items. The EBIT Margin is another measure investors can use to assess a company's financial health. The EBIT Margin shows you the percentage of each dollar of sales revenue that is left after all expenses have been removed, excluding net interest and income tax expenses. The EBIT Margin differs markedly between different industries and care should be taken when comparing companies accordingly. Companies like Woolworths and Coles Myer as retailers expect to have quite a small EBIT Margin as they rely on small margins accompanied with high sales volume. Other industries would have far smaller sales volume but expect to offset that with much higher profit margins. All of these different factors directly impact on the EBIT Margin. Unlike many fundamental pieces of data, the EBIT can be considered in isolation, and often is. Notwithstanding this, it can be combined with other data to form a more complete assessment or simply the trend of the EBIT over time could be assessed and a conclusion drawn from that. One of the greatest strengths of a company is the ability to generate profits and provide above average returns to shareholders and many investors make this a primary consideration in their decision to buy shares. EBITDA: earnings before interest, taxes, depreciation, and amortization. This measurement represents the operating performance of a business entity expressed as a return on sales. It also provides a measurement of operational efficiency in the profit and loss account, void of finance costs. As a preface to the financial statements, a company will typically spend a few pages talking about the recent year (or quarter) and give a background on the company. This is referred to as the Management Discussion and Analysis (MD & A). While this is not the core of the financial statements, it does give investors a clearer picture of what the company does. It also points out some key areas where the company has performed well. Don’t expect the letter from management highlights all the critical factors details affecting the company’s performance. Keep in mind this analysis is at their discretion, so take it at face value. How candid or accurate do the management’s comments appear to be? Does management discuss significant financial trends over recent years? How clear are management’s comments? If executives try to confuse you with big words and jargon, maybe they are using this terminology as a distraction. Do they document what they consider to be risks or uncertainties moving forward? Disclosure is the name of the game. If a company gives a good solid amount of information in the MD & A, it’s likely that management is being transparent. It should raise a red flag if the MD & A portion of the financial statement ignores genuine problems that the company is known to have been facing. An example would be a company that is known to have large portions of outstanding debt but fails mention anything about it in the MD & A. Withholding important information not only deceives those who read the financial statements but, in extreme cases, also makes the company liable for lack of disclosure. You’ve probably heard the term price/earnings ratio (P/E ratio) used before. When it comes to valuing stocks, the price/earnings ratio is one of the oldest and most used metrics. Although a simple indicator to calculate, the P/E is actually quite difficult to interpret. It can be extremely informative in some situations, while at other times it is next to meaningless. As a result, investors often misuse this term and place more value in the P/E than is warranted. In this tutorial, well introduce you to the P/E ratio and discuss how it can be used in security analysis and, perhaps more importantly, how it should not be used. If you don’t have a solid understanding of stocks and how they trade on the stock market, we also suggest that you read our Share Basics tutorial. Most of the time, the P/E is calculated using EPS from the last four quarters. This is also known as the trailing P/E. However, occasionally the EPS figure comes from estimated earnings expected over the next four quarters. This is known as the leading or projected P/E. A third variation that is also sometimes seen uses the EPS of the past two quarters and estimates of the next two quarters. There isn’t a huge difference between these variations. But it is important to realize that in the first calculation, you are using actual historical data. The other two calculations are based on analyst estimates that are not always perfect or precise. Companies that aren’t profitable, and consequently have a negative EPS, pose a challenge when it comes to calculating their P/E. Opinions vary on how to deal with this. Some say there is a negative P/E, others give a P/E of 0, while most just say the P/E doesn’t exist. Historically, the average P/E ratio in the market has been around 15-25. This fluctuates significantly depending on economic conditions. The P/E can also vary widely between different companies and industries. We find most historical data in the annual and quarterly reports released by a company’s management. These can be found over the internet or in physical form. Financial statements are required by law and must include a balance sheet, an income statement, a statement of cash flows, an auditor’s report and a relatively detailed description of the company’s operations and prospects for the upcoming year. The annual report is sometimes also referred to as the 10-K, but don’t be fooled. The 10-K contains the same information but in much more detail than many annual reports. Other information on the company’s management, officers, offices, new locations, etc. Your interest in the company will determine how you read the financial statements due to what information you are seeking to enable you to make an informed investment decision. Management, creditors/lenders, partners and investors all use financial statements, but each will be taking an interest in aspects of the statement. An investor may chose assess profitability, growth, stability and the rate of dividends. Whereas a creditor is much more interested in the amount of debt that a company currently has and will assess the likelihood or ability to make repayments. Let’s go through some of the most important sections of financial statements, looking more closely at what each section means. The Statement of Financial Position is The Statement of Financial Performance are often reviewed side by side. The Statement of Financial Performance details the amount of equity an entity has at a moment in time (assets minus liabilities), and The Statement of Financial Position focuses on the total change in equity in a period of time. 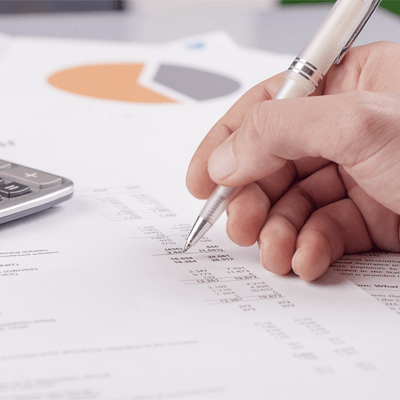 The Statement of Financial Performance was formerly known as the Profit and Loss Statement, although it is still referred to as such in the Corporations Act. The Statement covers a specified period and this is prominently displayed on the front. This period will normally be a financial year, but can also be for a six month period, a quarter or a month. Normally public companies will prepare statements that cover every month and quarter however these would not normally be made publicly available. Effectively the Statement measures and details the revenues and expenses in a period but also any event or transaction that has a direct impact on the equity of an entity. This excludes both investments made during the period (i.e. direct contributions to the equity) and distributions to equity owners during the period (eg. dividends). A common example of a transaction that is not revenue or an expense but is still recognised in the Statement is where assets are revalued. This is recognised as it directly impacts on the entity's equity and this is one of the most significant differences between the former Profit and Loss Statement and the new Statement of Financial Performance. By revaluing an asset, this is not strictly speaking, a part of any profit or loss. The Statement is prepared on an accrual basis. This means that the effects of any financial transaction or event are recognised in the financial period for which they occurred even though the physical cash may not have been paid or received. This means that the accrual basis for accounting records the changes within assets, liabilities, equity, revenues and expenses that you would not necessarily see if you just accounted using all cash receipts and cash payments within the entity for a given period of time. Some of the items that are required in the Statement include the revenue and expenses from ordinary activities, the profit and loss before income tax expense, and the income tax expense. Some analysts will prefer the performance of a company and focus on earnings (Financial Performance) whereas others will look more for the long term financial stability of the company rather than earnings (Financial Position). Essentially, either approach is valid and can be an effective analysis tool. Ideally any analysis will incorporate both statements as well as the third financial statement - the Statement of Cash Flows. 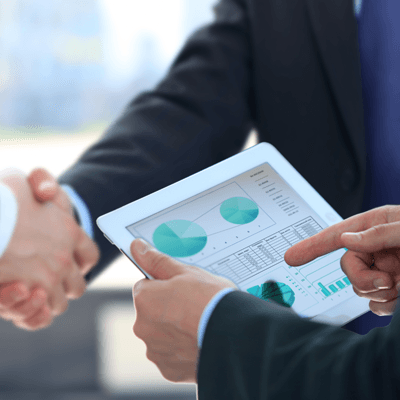 The Statement of Financial Performance is an extremely important financial report that allows investors the opportunity to assess a company's financial health. The key element all investors look after is earnings. Before investing in a company you want to know how much the company is making in profits. Future earnings are a key factor as the future prospects of the company's business and potential growth opportunities are determinants of the stock price. Factors determining earnings of the company are such as sales, costs, assets and liabilities. A simplified view of the earnings is earnings per share (EPS). This is a figure of the earnings which denotes the amount of earnings for each outstanding share. Amount of earnings do not tell the full story, increasing earnings are good but if the cost increases more than revenues then the profit margin is not improving. The profit margin measures how much the company keeps in earnings out of every dollar of their revenues. This measure is therefore very useful for comparing similar companies, within the same industry. Higher profit margin indicates that the company has better control over its costs than its competitors. Profit margin is displayed in percentages and a 10 percent profit margin denotes that the company has a net income of 10 cents for each dollar of their revenues. To get better understanding of profit margins it is good to compare two companies with alternative margins, see table below. Return of equity (ROE) is a financial ratio that does not account for the stock price. Since it ignores the price entirely it is by many thought of as THE most important financial measure. It can basically be thought of as the parent ratio that always needs to be considered. An easy example of this is that if company A and company B both generate net profits of $1 Million but company A has equity of $10 Million but company B has equity of $100 Million. Their ROE would be 10% and 1% respectively meaning that company A is more efficient as it was able to produce the same amount of earnings with 10 times less equity. Good approximation is that ROE should be 10-40% greater than its peer. When taking the current market price into consideration, the most popular ratio is the Price-to-Earnings (P/E) ratio. As the name suggest it is the current market price divided by its earnings per share (EPS). It is an easy way to get a quick look of a stock's value. A high P/E indicates that the stock is priced relatively high to its earnings, and companies with higher P/E therefore seem more expensive. However, this measure, as well as other financial ratios, needs to be compared to similar companies within the same sector or to its own historical P/E. This is due to different characteristics in different sectors and changing markets conditions. This ratio does not tell the full story since it does not account for growth. Normally, companies with high earnings growth are traded at higher P/E values than companies with more moderate growth rate. Accordingly, if the company is growing rapidly and is expected to maintain its growth in the future this current market price might not seem so expensive. This is the reasoning for the existence of different investment styles; Value vs. Growth stocks. While some sectors normally have low P/E measures, other sectors commonly have higher ratios. For example, utilities commonly have P/E ranging from 5 to 10 while technology companies commonly have a P/E ratio ranging from 15 to 20 or above. This is due to expectations in the market about the sector and its earnings-growth possibilities. The utility sector has stable earnings and is not expected to grow rapidly while technology companies are expected to grow faster and tend to need less capital for its growth. In order to simplify, the following table illustrates four companies in two sectors with alternative figures. It is not very appropriate to compare Apple with GDF Suez as Apple has a growth rate of 11 times more than GDF. It is more appropriate to compare Apple with Google. In that relation, Apple seems cheaper than Google by the look of the P/E. Now you should ask why that could be? - is this a bargain or are some other reasons why Apple is priced lower than Google. One suggestion might be that the market expects Google to have more earnings-growth in the coming future and Apple's previous earnings growth is not expected to grow much further. In order to account for growth, the P/E ratio can be modified into the Price/Earnings to Growth (PEG) ratio. A PEG ratio is calculated by dividing the stock's P/E ratio by its expected 12 month growth rate. A common rule of thumb is that the growth rate ought to be roughly equal to the P/E ratio and thus the PEG ratio should be around 1. A relatively low PEG ratio indicates an undervalued stock and a PEG ratio much greater than 1 indicates an overvalued stock. The PEG ratio can be very informative figure, especially for fast growing and cyclical companies. In this one ratio you get an understanding of the company's earnings, growth expectations and whether it is trading at a reasonable price relative to its fundamentals. A price-to-book (P/B) ratio is used to compare a stock's market value to its book value. It can be calculated as the current share price divided to the book value per share, according to previous financial statement. In a broader sense, it can also be calculated as the total market capitalization of the company divided by all the shareholders equity. This ratio gives certain idea of whether you are paying too high price for the stock as it denotes what would be the residual value if the company went bankrupt today. A higher P/B ratio than 1 denotes that the share price is higher than what the company's assed would be sold for. The difference indicates what investors think about the future growth potential of the company.